The world of 1950’s live TV gets the comic treatment in Richard Benjamin’s MY FAVORITE YEAR, a hilarious homage to those golden days of yore. 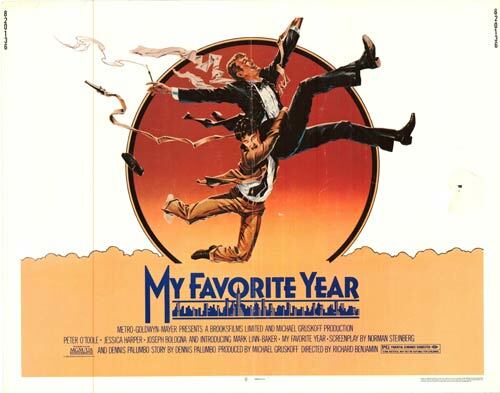 Executive producer Mel Brooks had first-hand knowledge of the era, and much of the hysterical Norman Steinberg/Dennis Palumbo screenplay is based on his experiences, though completely exaggerated and laugh-out-loud funny. 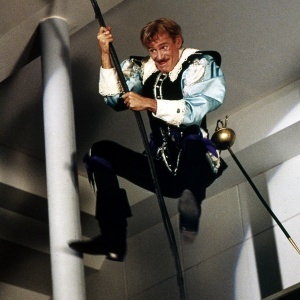 The film earned star Peter O’Toole an Oscar nomination for his role as Alan Swann, a dissipated movie star based on swashbuckling Errol Flynn . 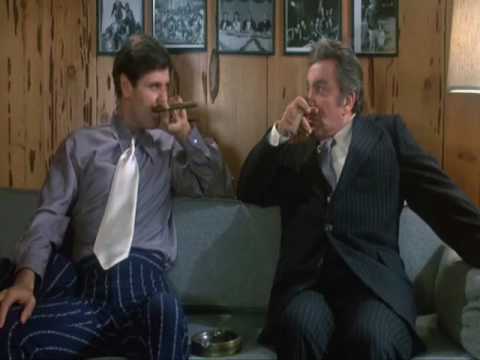 Swann arrives at NBC’s 30 Rock, scheduled to be the week’s special guest on “Comedy Calvacade”, totally smashed, much to the displeasure of gruff show host Stan ‘King’ Kaiser (Joseph Bologna in a brilliant Sid Caesar parody), who immediately wants to fire him. But young comedy writer Benjy Stone (Mark Linn-Baker, later of TV’s PERFECT STRANGERS), who idolizes the movie great, pleads with Kaiser to give Swann another chance. He does, and appoints Benjy as Swann’s personal babysitter, making sure the actor behaves… or else they’ll both get the boot! Among the many subplots are Kaiser’s ongoing battle with gangland goon Karl Rojeck (Cameron Mitchell ), a Jimmy Hoffa-type Kaiser’s been lampooning on the show as “Boss Hijack”. Benjy’s got romantic problems with pretty young coproducer K.C. Downing (Jessica Harper, SUSPIRIA, STARDUST MEMORIES), as well as problems with his overbearing Brooklyn mom (Lanie Kazan). 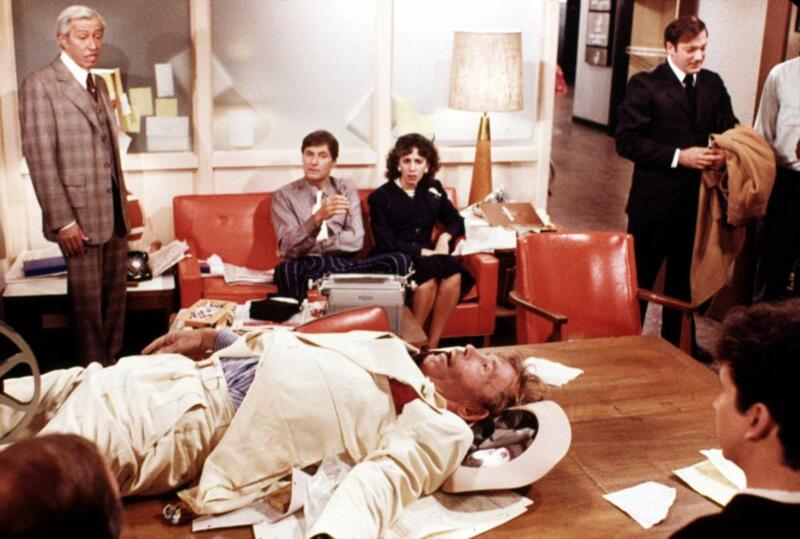 The writing staff is constantly at odds, with overbearing Sy (Bill Macy), cynical Alice (Anne DeSalvo), and the strangely silent Herb (Basil Hoffman in an apparent Neil Simon take-off). O’Toole, who knew a thing or two about living la vida loca himself, was the perfect choice to portray the Flynn-like Swann. The gaunt actor may look like death warmed over, but his way with the ladies remains intact, and underneath the bravado of his screen persona lays a barely concealed vulnerability. His hard-partying ways have left him in debt and involved in scandalous behavior, but his dignity manages to shine through. O’Toole’s performance makes Alan Swann a flamboyant, funny, poignant, and all-too-human character, and he deserved the Oscar nom, but lost to Ben Kingsley in GANDHI. In fact, the actor was nominated and lost eight times in all, an Oscar record, only receiving an honorary award in 2002 for his body of work. 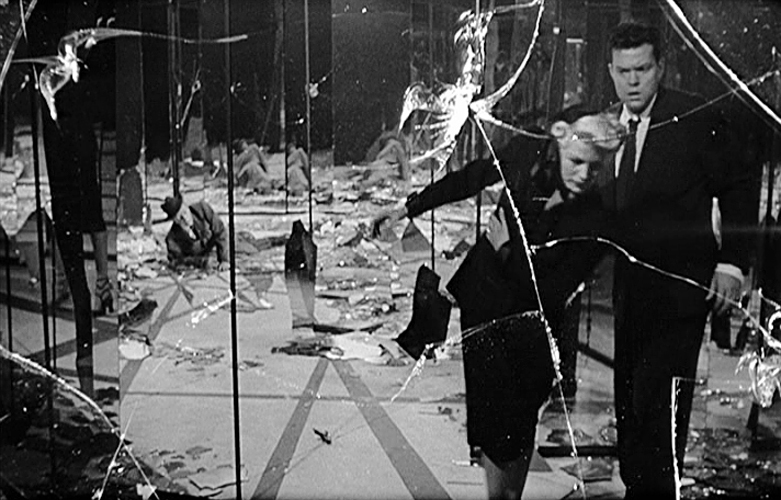 This was Benjamin’s first film as director, and got him off on the right foot. The actor had starred in TV’s HE & SHE and films like GOODBYE COLUMBUS, CATCH-22, and WESTWORLD before taking a seat in the director’s chair, and has made some good films since (CITY HEAT, LITTLE NIKITA, MERMAIDS, MRS. WINTERBOURNE). The supporting cast also features Adolph Green as show producer Leo Silver. Green’s no stranger to comedy writing himself, having penned the Broadway and Hollywood hits ON THE TOWN, SINGIN’ IN THE RAIN, THE BAND WAGON , AUNTIE MAME, and BELLS ARE RINGING with partner Betty Comden. Selma Diamond, who also wrote for Sid Caesar in the 50’s, plays the sarcastic costume matron. Familiar Faces Phil Bruns, Stanley Brock, Lou Jacobi, and George Wyner are on hand – and yes, that’s 1930’s starlet Gloria Stuart (later of TITANIC fame) as a dowager dancing with O’Toole during the Stork Club scene. MY FAVORITE YEAR is right up my alley, a backstage pass to a show biz long gone. It’s got heart and chutzpah to spare, and never gets boring. If you’re like me, and love movies about behind the curtain shenanigans , you’re sure to love this one. I LOVE this film. Both hilarious and touching throughout. 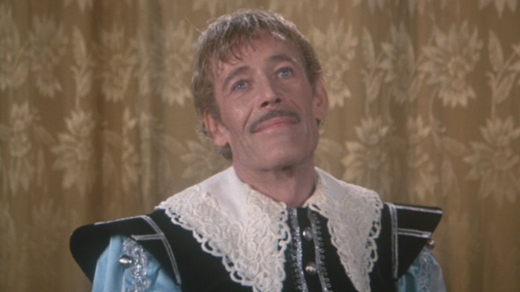 Peter O’Toole is obviously having great fun in this one and it shows. 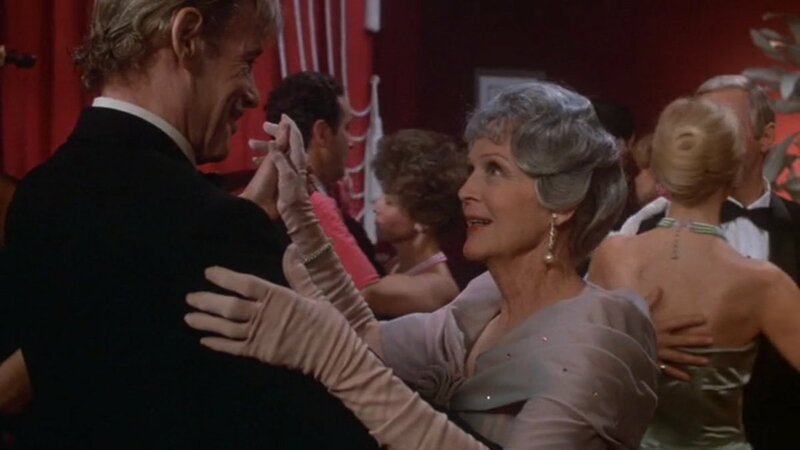 I love the scene where Alan dances with an elderly female fan (making her dream come true)a beautiful and sweet moment. Yes, as I stated, that’s Gloria Stuart (The Invisible Man, The Old Dark House, Titanic) dancing with O’Toole! A sweet moment, indeed!